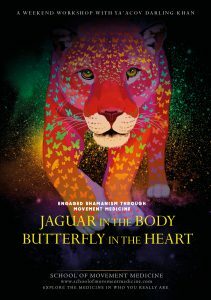 This magical evening will include a talk on the theme of Power and Vulnerability in the Shaman’s World, a book signing, which will be followed by a Movement Medicine embodied shamanic journey. We are living in times when the earth is crying out for empowered human beings connected to their hearts to stand up for life. It takes a huge investment to ‘grow’ a mature human being – someone who is living in the everyday recognition of what they have been given and what they are being given by life; a human being who is overflowing with gratitude and joyfully inhabits the living prayer of reciprocity, giving back to life with everything they’ve got. Unfortunately, many people in the alternative world have made power the enemy. ‘Power corrupts’ they say, embracing powerlessness and pointing the finger of blame and judgement at those who use power for good or for ill. In the shaman’s world, a conscious and crafted blend of power and vulnerability is necessary for the initiatory journey in which the shaman discovers how to responsibly use their medicine. In order to make any positive impact in this world, it is our task to purify our relationship to power and vulnerability so that we can know deep in our hearts what our power is for. In this inspiring and challenging talk, Ya’Acov will talk about power and vulnerability as the twin keys for taking our place as empowered, creative and conscious human beings whose intention is to make as much positive impact in the world as we possibly can. 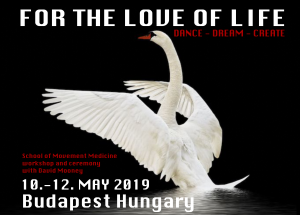 The talk will be followed by a Movement Medicine session led by Ya’Acov. 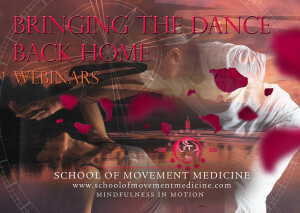 Movement Medicine weaves together the exhilaration of free dance with the depth of movement meditation and the spirit of shamanic practice. 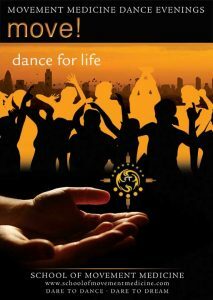 It challenges the paradigm of separation and reminds us of the interconnected nature of the web of life and our unique place in it. 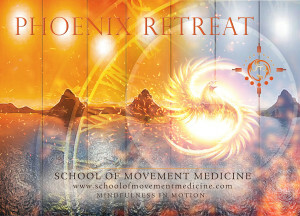 The Movement Medicine session is open to everyone with or without previous experience.